My third original title for Dungeons & Dragons 5th Edition was released last week. Labyrinth of Thorns is about — you guessed it! — a labyrinth. I wanted to write a story for Valentine's Day because I absolutely LOVE Valentine's Day, and the familiar symbols associated with the holiday make for fun storytelling. 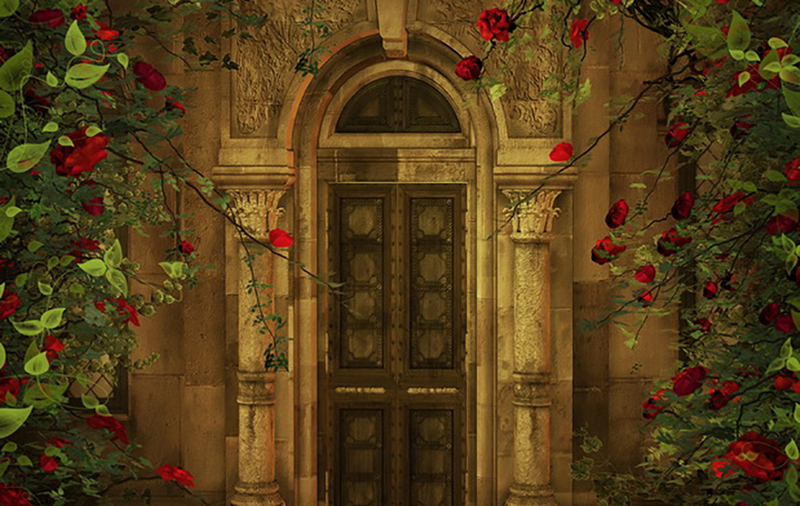 Labyrinth of Thorns is set in a city called St. Valentine, which exists within a demiplane called Emberez. Emberez is embroiled in a long-lasting war between celestials and demons, and that larger narrative arc plays a role in this standalone module. My first one-shot, A Night of Masks and Monsters, is also set in Emberez, and both of these stories are part of a full campaign called A Requiem of Wings. Emberez is loosely inspired by old European cities; West Emberez is very Mediterranean — Italy/Greece — and East Emberez is eastern European, evocative of Czechia and parts of Russia. This campaign is a way for me to explore my heritage, since I am Italian on my mom's side and Russian-Jewish on my dad's. St. Valentine, specifically, is very much a fantasy version of Florence, a city known for its incredible food and wine. I was in Florence last year (on my birthday! best day ever) and just swooned over all of the gorgeous architecture and art. I die over medieval and gothic cities so I wanted to write something that felt both pleasant and mystical. In the story, characters travel to a labyrinth through the back of a bakery called Dante's Casa di Dolci. Dante's wife, Simonetta, was kidnapped by the keeper of the labyrinth, so the characters must go find her. The character of Dante is somewhat inspired by my grandfather, Paul, who was so very handsome. (And my mom makes an appearance in the story! She is the NPC named Paula, who is a florist in St. Valentine.) Since this story is so Italian, it only made sense to include members of my family. 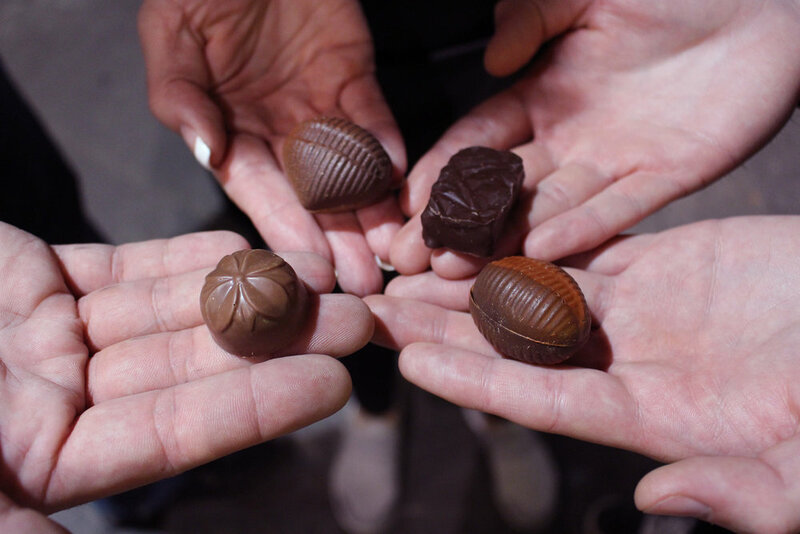 Florentine chocolates... which definitely contained magical properties. I've been fascinated by mazes and labyrinths since I was a kid. Something about getting lost among hedges just seems so appealing to me. I pulled inspiration from Greek and Roman mythology, so I picked specific creatures and places that the players may encounter, including a harpy, a satyr, and a river of lost souls (a nod to the River Styx). The players will fight a three-headed beast called a chimera, which is a pretty obvious reference to Cerberus, the three-headed dog who guards the underworld. I love choosing creatures for my stories; that's usually where I start, by just looking through the Monster Manual. In a review of my one-shot, DM_Dango spoke kindly of the detail I include in describing the setting and scenery, and that made me happy since I always try to make the atmospheres of my stories very immersive. Here's the moodboard I made before writing; as you can tell, I was going for something lush and moody and sinister while also beautiful. You can get Labyrinth of Thorns on DMs Guild. Hope you enjoy exploring the labyrinth of St. Valentine!